I already told you a little about Student Council and Class Council, but I definitely can't forget about College Council! While Student Council serves the entire student body and Class Council caters to the specific needs for each individual Class, College Council serves the entire student body of the College of Arts and Sciences, across all of its majors and across all years. College Council works with faculty and administrators to provide the best academic experience possible for all College students through programs, academic advising, and funding. The Council works to serve as peer academic advisers, foster student/faculty relations, strengthen College identity, and solidify relations between the College of Arts and Sciences and its alumni. 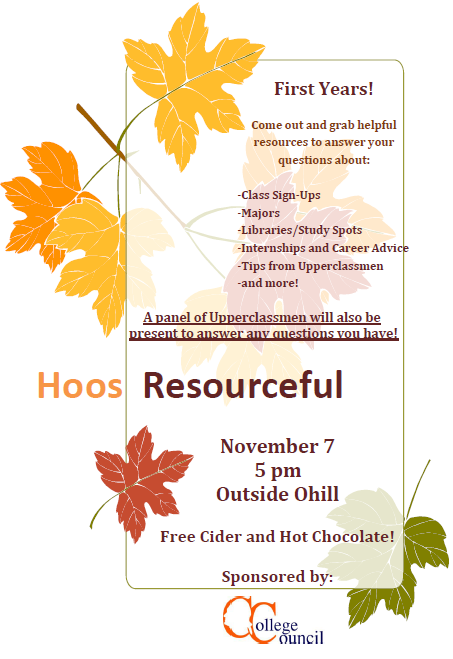 They hold events like the International Career Resources Information Session for students interested in international jobs and internships, "Life After Politics" to showcase potential career paths for Politics Students, and a S'mores Social to ease students of midterm study stress. To get involved in College Council, you can apply to be a department representative and represent your major within the Council or simply just apply to join the Underclassman Committee during your first or second year. Greetings from beautiful Charlottesville! This post is dedicated to the #WeAreAllUVa campaign, in which my blog series is a namesake. 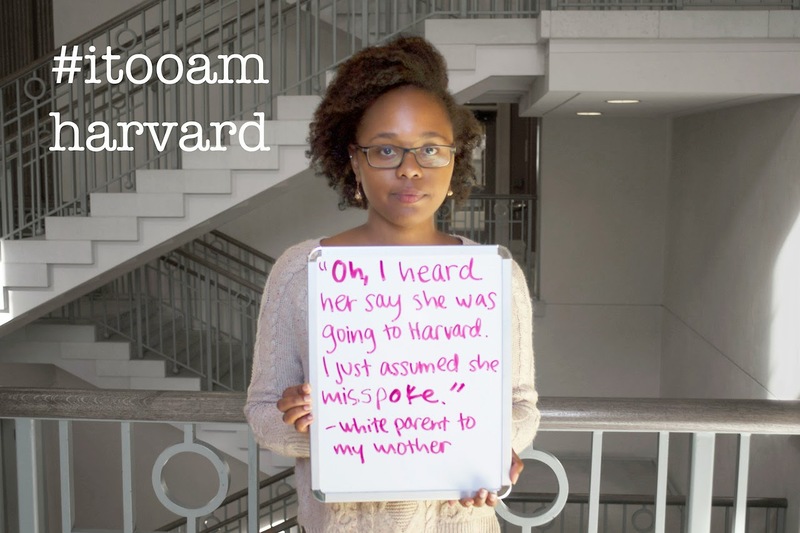 Created by students, #WeAreAllUVa was done in solidarity with the I, Too, Am Harvard photo campaign. This was a movement to give voices to African-American students at Harvard College. These voices, often unheard, depict stories of racism and strife as the students came of age.The campaign became so popular that the students were invited to a session at the White House. #WeAreAllUVa sought to challenge diversity by featuring not only stories of African-American students but of students all across the University's many different multicultural groups. Students, faculty, staff, alumni, prospective students, and even Charlottesville community members shared their experiences. As words cannot do it justice, here are some pictures and links to the #WeAreAllUVa website. 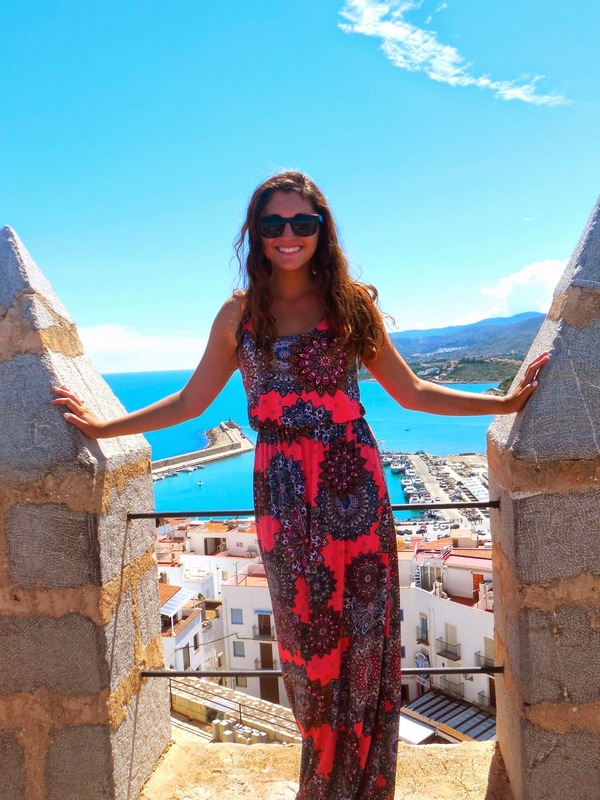 Niki Shumaker (CLAS '17) in Peñíscola, Spain. 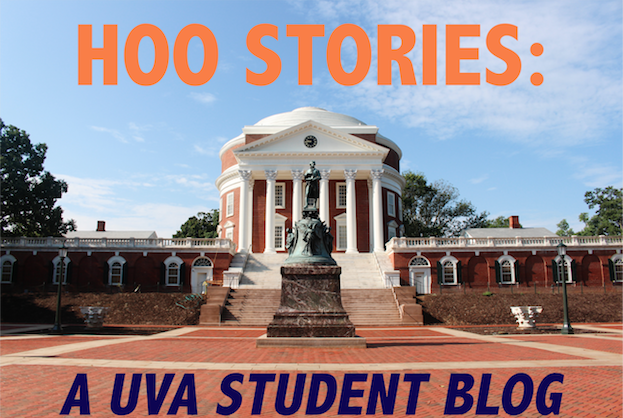 We've heard from a number of students who have shared their personal experiences regarding studying abroad as undergraduates at UVA. Now, maybe you're interested in experiencing all that a global education can offer. Let's go through some frequently asked questions regarding study abroad. During the past academic year (2013 - 2014), how many students went abroad? 1617 undergraduate and 645 graduate students went abroad. What if I am an engineering student (or pre-med, or engineering)? Can I still go abroad? Yes! Included in the top 10 most popular majors studying abroad this past year were Commerce, Biology, and Systems Engineering. Even if your course requirements or the way your schedule works out makes it inconvenient for you to go abroad for an entire semester, January Term and Summer Session are both great options to consider if you want to have some sort of study abroad experience. What if I want a more intensive program? Is there any way I can have a more fully-immersed global experience? Absolutely. If you are looking to dive straight into a new culture, you should consider an exchange program. UVA has long-standing exchange programs with many countries, including Belgium, Denmark, France, Germany, Ireland, Hong Kong, Japan, Singapore, India, Israel, Canada, Brazil, and Australia, among many others. This past year, 114 students studied abroad through an exchange program. Your federal and institutional aid that you would have during a normal school year or semester carries over to your time spent abroad. Expenses such as tuition and fees, transportation, housing, meals and the costs associated with obtaining a passport or visa are eligible for aid.With all that said, keep in mind that costs will vary from program to program, as cost of living and exchange rates factor into the final price. If you think you definitely want to study abroad, the first thing you should do is complete the Education Abroad Workshop. This is a PowerPoint presentation hosted on UVA's study abroad website that covers almost everything you will need to know about studying abroad. Safe travels! The College of Arts and Sciences is the largest school at the University of Virginia, so there are a vast range of classes and Professors that teach in the College! 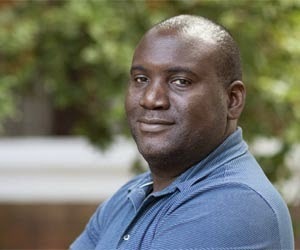 One very popular professor in the College is Professor Stanley Stepanic. Professor Stepanic works in the Slavic department and he has been with the University for 9 years now! Professor Stepanic achieved national fame form a young age, actually, when he discovered a mastodon tooth in his parents yard! He says, "The primary reason was that the news refused to correct their mistake that a $50 find was not worth $100,000. Once the bigger number got out there, I was all over the place. To this day I will occasionally have people who say, "hey, weren't you that kid that...did you sell it?" The answer is no, unless I ever need $50." “Personal interest in Eastern Europe and the occult." " The wonderful, classic campus." "I remember when I was a TA, it was during Halloween. My students convinced me to dress up as a Ghostbuster, and they were to dress up as ghosts (two of them), run through the classroom, and then I was to 'bust' them. That day I was merely a fool!" Want to take a class with Professor Stepanic? He is well known in the College for teaching 2nd-Year Russian, and his most popular class Dracula! Every week we'll post answers to prospective students' questions. Some will be FAQs from tours, like this week, and others will be responses to comments and emails received via this blog. If you have a question about a post we've covered previously, comment to ask us for more information. Have we not covered it yet? 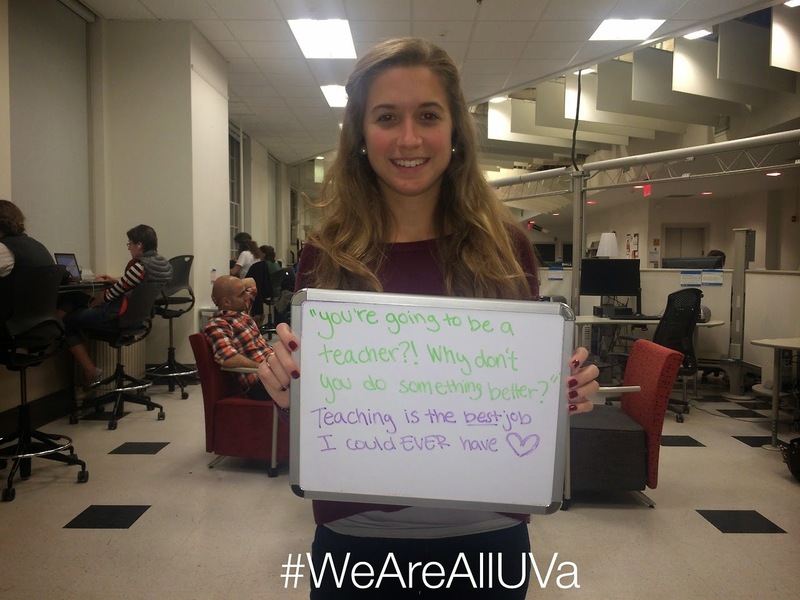 Email us at UVaSummer14@virginia.edu and we'll reply with an answer! What is the construction going on at the Rotunda? The Rotunda is the building at the heart of Thomas Jefferson's Academical Village. Designed as a half-scale model of the Pantheon, this "Temple of Knowledge" was purposefully placed at the center of TJ's original grounds to function as UVa's first library. It also served as a classroom and special event space. Today, the Rotunda is used for very similar purposes. It still functions as one of the University's many libraries, a student study space, an administrative building for meetings of UVa's governing Board of Visitors, and a special event space where residence halls, student organizations, and special guests can have "Dome Room Dinners" in the top story of the building. Renovations to the building are currently underway to make sure it can serve students and the UVa community in these capacities for many more years to come. The project should be complete in the Spring of 2016. The to do list for the next two years includes renovating staircases, elevators, and replacing the crumbling capitals at the tops of the exterior columns. 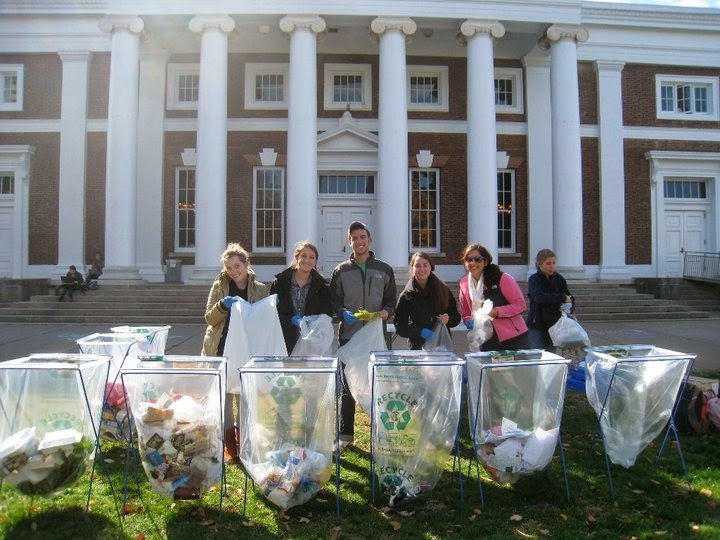 All of this and more should be completed so that the project only effects the first year of UVa's Class of 2019. The Class of 2020 and beyond should have no problem at all. By then, the Rotunda with its more historically accurate and up-to-code interior and exterior will be open for all to enjoy. Want more information about the Rotunda and the renovation? Visit rotunda.virginia.edu! 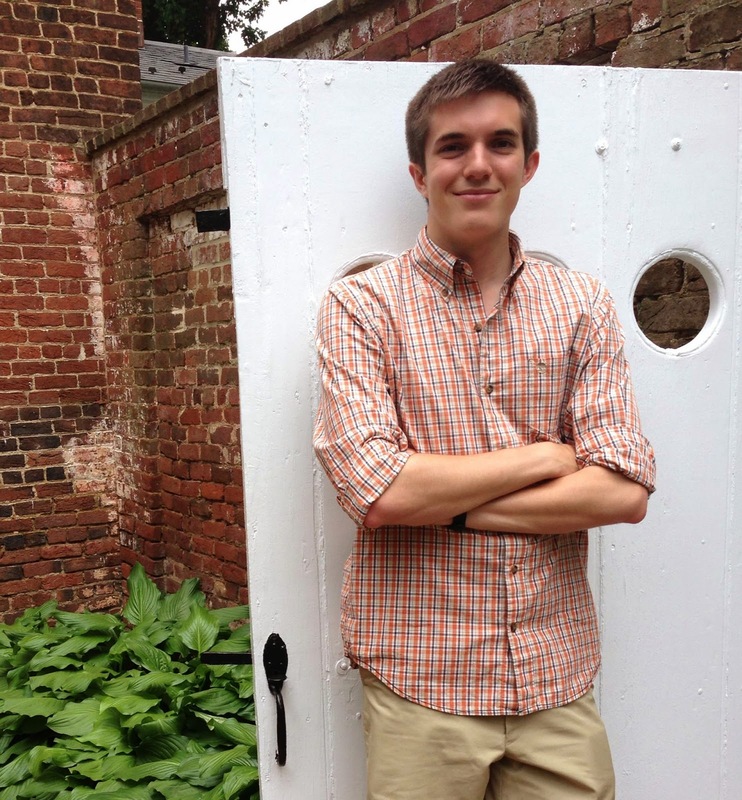 Part IX: See Our @UVa_Summer Instagram! Don't forget to follow @UVa_Summer and search the hashtag #UVaSummer on Instagram! To view the Instagram in your browser, click here. Check out some of this week's most liked Instagrams including pictures of tourists (big and small)! "Everyone's excited for orientees! Left: @takeitawayuva, Mid: @uvaonsp, Right: @trinitycville, Top: @theuniversityofvirginia #picstitch #uvausmmer"
"Thanks, @uvadean! 'So. Many. Tours. @uva_summer has been handling all of our visitors beautifully this summer. #uva #uvasummer #charlottesville #virginia #uva2019 #uva2020 #2021"
One of UVa's holiday traditions is Lighting of the Lawn at the end of November near the close of the Fall Semester. 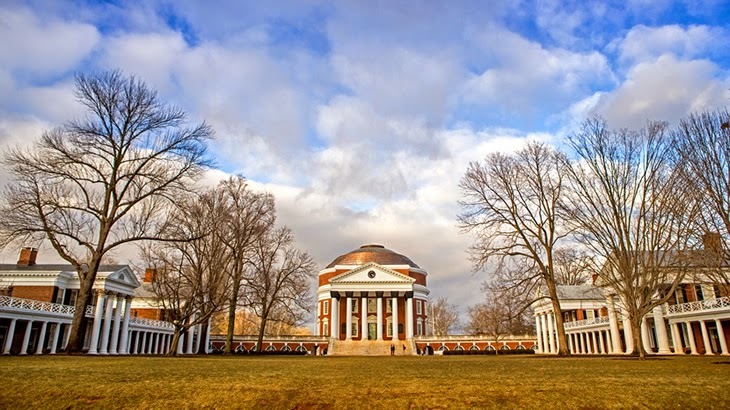 At this event, the a capella groups at UVa will perform on the steps of the Rotunda as thousands of students, faculty, and even Charlottesville residents, will gather on the Lawn to watch the performance. 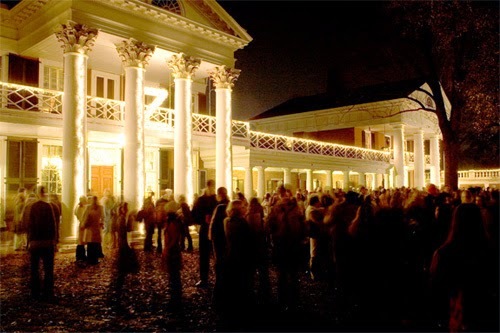 At the end of the performances, usually around midnight, lights that have been set up on the Rotunda, the Pavilions, and all of the Lawn Rooms in the Academical Village are turned on. The event originally started in 2001 as a way to bring together the students and faculty of the University after the attacks of September 11th. Since then it has become a favorite tradition among students as one of the last traditions of the Fall Semester before the beginning of Finals. On the Lawn, hot apple cider and hot chocolate are served for the students that come to watch the a capella performances. Students that live in the Lawn Rooms of the Academical Village will open up their rooms and serve food and drinks for some of the clubs that they are involved in. Professors that live in the Pavilions will also open up their Pavilions for guests to come in and enjoy their hospitality. The Lawn fills up really quickly with students so I would recommend that you get their early, and, if there isn't already snow on the ground, bring a blanket to sit down on with your friends. The performances will go on for several hours and it can be pretty cold this time of the year in Charlottesville, so remember to dress warmly. Lighting of the Lawn is one of my favorite traditions at UVa because it is a great way to have fun before the beginning of finals and to see a large part of the UVa community come out to the Lawn. When: End of November, before the beginning of finals. (Show up early to get good seats close to the Rotunda). Intramurals are another great way to play sports while at UVA. 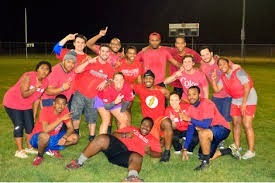 Intramural leagues provide a casual, laid back setting to play sports with friends, dorm room hallmates, or even random acquaintances. There are intramurals in both the fall and spring. There are men's leagues, women's leagues, co-ed leagues, and leagues between different student organizations. Most ever sport is offered ranging from flag football to basketball to ultimate frisbee to soccer. The intramural regular season typically is three games with elimination playoff games to follow. Intramurals are a popular option for students because they are not too much of a time commitment while still providing a great opportunity to get to play a sport you love or play a sport you have no experience in! 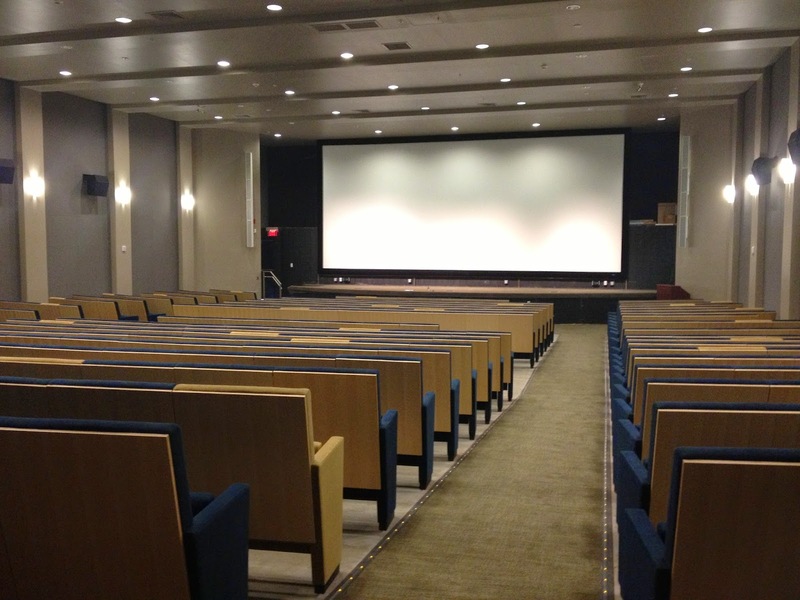 I love to go to the movies with friends and there are plenty of opportunities to see movies in the downtown mall area, but the University also hosts movies in the Newcomb Hall Theater throughout the year. The movies that are shown here are recent releases, before they go on sale as videos usually, and are at a much discounted rate. I have been able to see movies before Oscar season that I wasn't able to see while they were in theaters. I love seeing movies on the big screen too, so it's great that all of these are only a few dollars to see one of these movies. My friends and I decided to take advantage of the theater our first year and see Skyfall, the most recent James Bond movie. Even though it wasn't one of the movies considered for best picture that year, we still wanted to see it at the theater due to all of our love for anything James Bond. We were able to finish up any work we still had to do for classes or our clubs and then met at Newcomb for dinner at the dining hall and then walked just downstairs to watch the movie. It was great having the option to take a study break or quick get together where we didn't have to worry about catching a bus or taxi or figuring out rides to a theater that was further away. 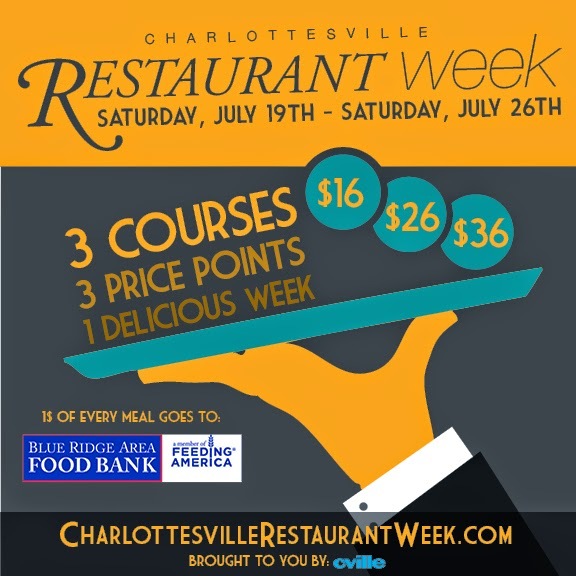 Restaurant week is an event in Charlottesville that happens a couple times each year. This opportunity is a lot of fun for everyone in CVille but especially students because it gives them the opportunity to visit some of the city's best restaurants for discounted prices. For $16, $26, or $36 you can get a three course meal at some places that may not be regularly accessible to those living on a student's budget. The best part? A dollar from each meal goes to Blue Ridge Area Food bank! Dozens of restaurants participate each time. These include everything from gourmet sandwich shops and burger bars to restaurants specializing in Mexican fusion and French cuisine. This past Saturday, I went to The Southern with friends for sandwiches filled with things like jalapenos, goat cheese, and ham with honey Dijon mustard. For $16, I got not only the sandwich but two sides, a starter of bruschetta on focaccia, and "fancy grahams" graham crackers to dip into dark chocolate and marshmallow sauce. I had a ton of fun on this trip, and I can't wait for the next restaurant week! What is the Echols Scholars program and what are the benefits that come with it? Part VIII: See Our @UVa_Summer Instagram! Check out some of this week's most liked Instagrams including pictures of incoming UVa Class of 2018 students and of Hoos around the world! "#Wahoowa around the world! There are Hoos everywhere this #UVaSummer 'Get it? @UVa_Summer #UVaSummer' --@sydneyglampson"
"We're halfway done with orientation sessions and halfway closer to welcoming the Class of 2018 for the school year! #Wahoowa #UVaSummer"
"Orientees... Orientees everywhere! #ClassOf2018 #UVa #UVaSummer #MakingNewFriends"
In my last post, I told you a little about Class Council and how each Council works to increase unity and spirit within their respective Class, planning fun and useful class-wide activities/events. That might have piqued your interest, but what if you want to get involved on a much wider level? While each Class has its own individual Class Council, which solely caters to the needs of that Class, Student Council represents and caters to all students from all years and all colleges, including undergraduate and graduate students. 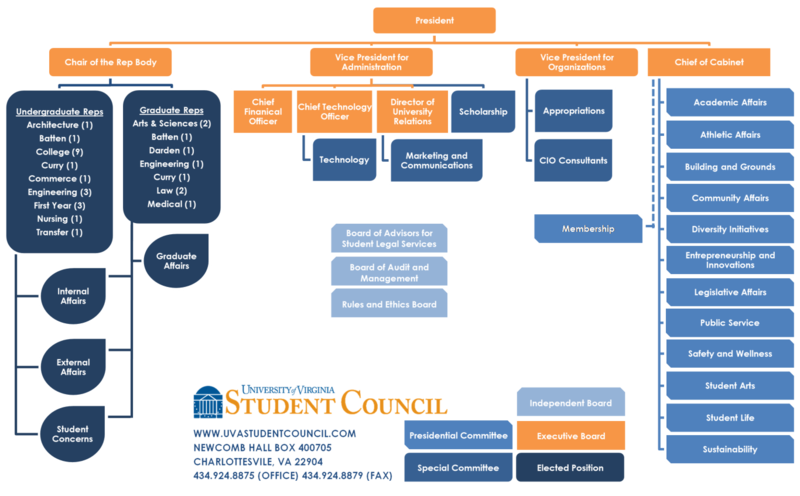 Student Council (StudCo) strives to “protect and improve the rights, opportunities, and quality of life of every student at the University of Virginia”. It’s comprised of several different boards, commissions and task forces that come together to create the best student experience for all those at the University through innovative projects, events and initiatives. StudCo does a variety of things; for example, it provides funding for CIOs, distributes scholarships to the student body, promotes student safety and wellness, represents student interests to members of local governments and creates initiatives to improve the diversity of the University. 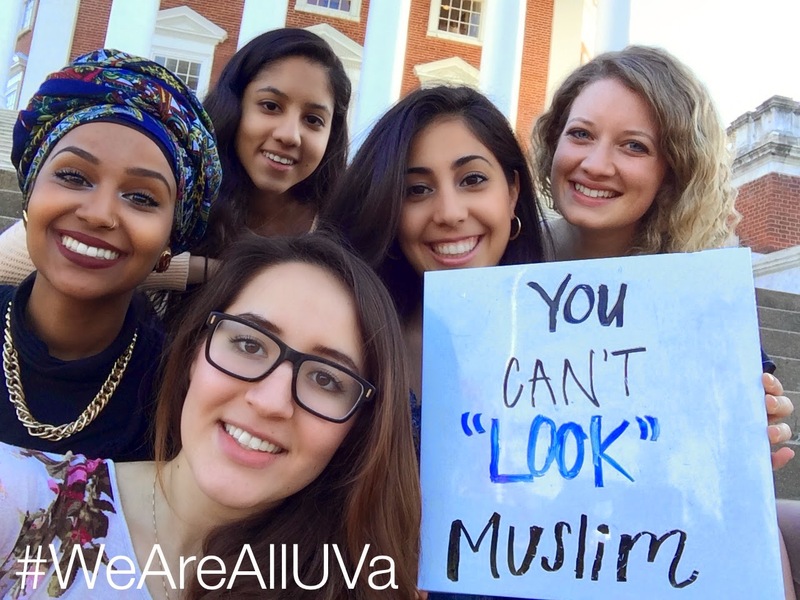 Chelsea here, filling in for Hawa this week to talk a bit about some of the diverse groups we have on grounds here at U.Va. Another large part of the University community is the The Lesbian, Gay, Bisexual, Transgender, Queer, and Questioning (LGBTQ) community. 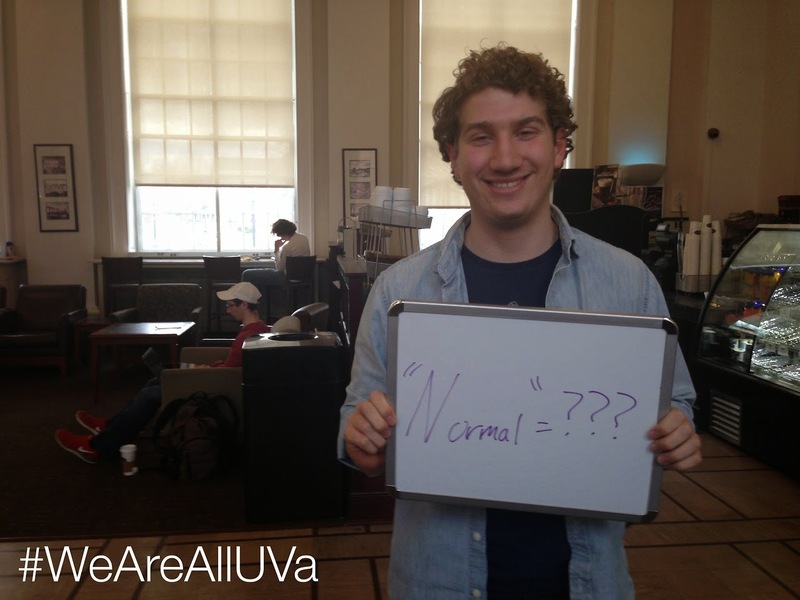 There are many ways to get involved in the LGBTQ community here at U.Va. The Queer Student Union (QSU) , for example, provides opportunities for students to hear from guest speakers and participate in social events around grounds and in the Charlottesville community! Students can also campaign with Queer and Allied Activism (QuAA) for equality movements and promote awareness and acceptance of members of the LGBTQ community. 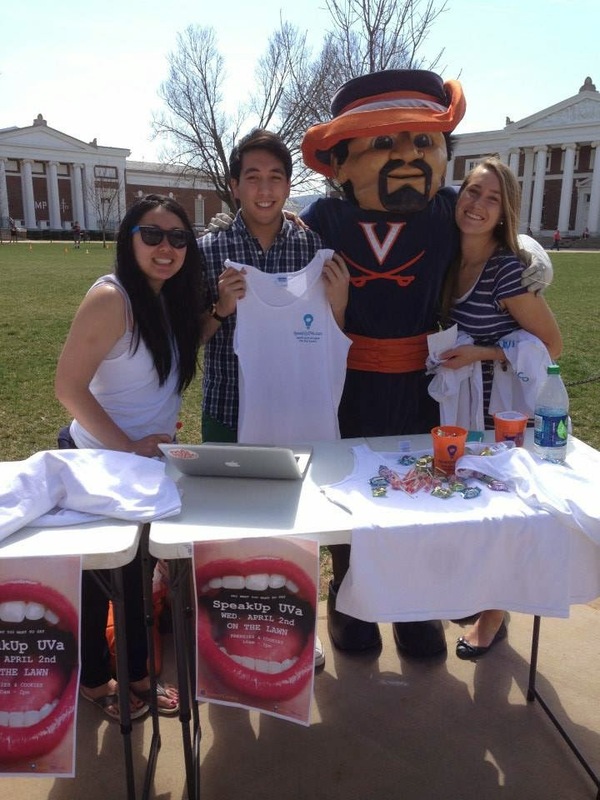 QuAA focuses mainly to work within the U.Va. and Charlottesville community, students have the opportunity to work at the state, federal, or even international levels on issues that are important to the LGBTQ community. 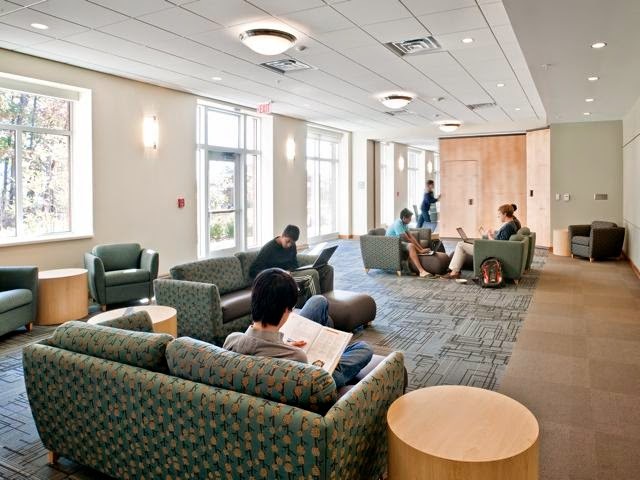 All student have access to the LGBTQ Center on the first floor of Newcomb Hall at the University. The center provides study spaces, hangout space, and resources for all students, but also has many resources specifically for LGBTQ students that are provided by a handful of student volunteers. The LGBTQ community has a variety of events throughout the year. 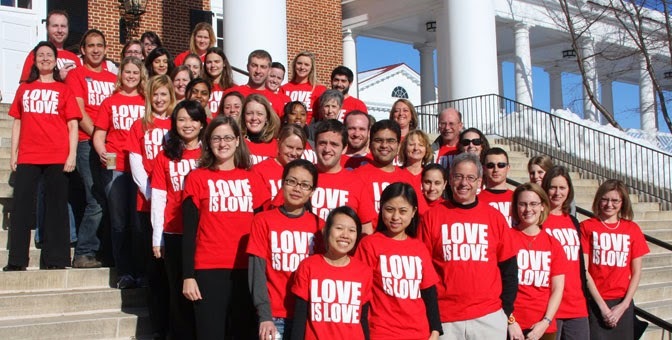 One of their largest is their Love is Love T-Shirt campaign, which started in 2009. 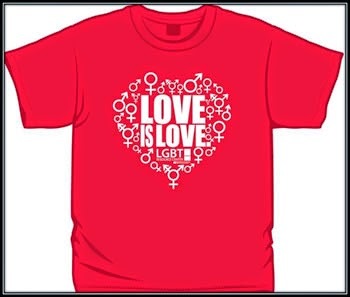 Each year, students can purchase a red "Love is Love" teeshirt to wear on Valentines day. The event is meant to help bring awareness equality of all relationships (not just sexual, but gender, religious, race, ethnicity, and more) in the community. The LGBTQ community has many events throughout the semester for students. Proud to be Out Week (PTBOW), for example, is held both in the fall and spring semesters to celebrate members of the LGBTQ community. There are social events, performances, speakers, films, discussions, and much more. There are smaller scale events more regularly as well, including LGBT (Let's Get Brunch Together) on the lawn every week! Want to check out some of the LGBTQ resources? Here are some links to some! Hoo's Abroad? Emily in Italy! Today's global Wahoo is Emily Strait, a rising third year in the College of Arts and Sciences double majoring in Economics and Political Philosophy, Policy and Law! 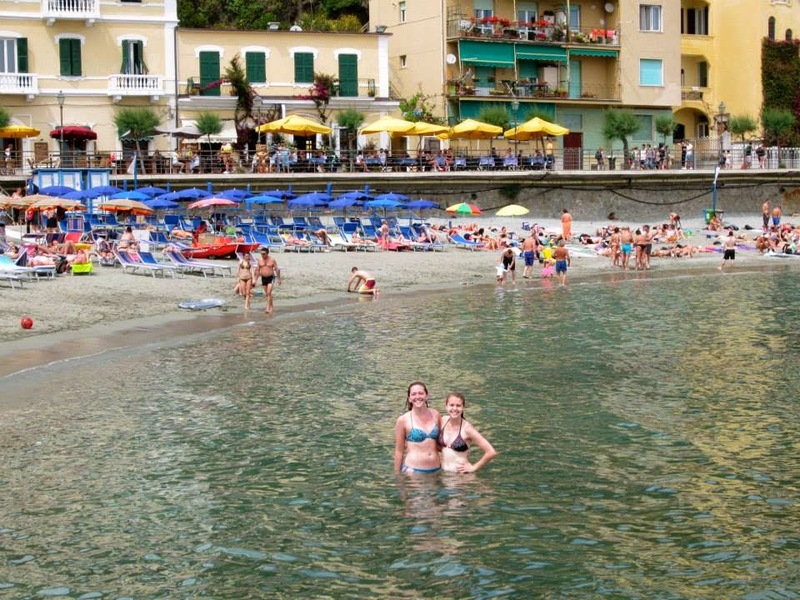 This summer, she is studying abroad in Florence, Italy. What made you choose this place? I had visited Italy before and Florence was my favorite city, so I wanted to come back and see more. I also love wine and Italian food! What classes are you taking? The two classes I am in are Renaissance Art History and History: Story of the City of Florence. What was the biggest learning experience you have had? Learning how different the Italian customs are at restaurants and store and in public behavior! Professor Archie Holmes is a professor in the Engineering School here at the University, specifically in the SEAS/Electrical and Computer Engineering programs. He has been with the University for 7.5 years now! When he isn't hanging around the E-School, Professor Holmes spends him time navigating his way around the kitchen! When he has the time, he loves to cook! “The way I tell the story, I was “tricked” into my field. In 8thgrade, I was introduced to an early portable computer that was the size of a briefcase. I was fascinated. My father told me that only engineers got to work with computers (which, to be fair, was probably true at the time), so that was the path I set for myself. Turns out that a number of courses and summer internship later, I know that this was the best choice for me." "A strong engineering school that is housed in a university with a strong liberal arts tradition"
"On the first day of class each year, my class and I have a discussion about expectation. Clearly I have some for them, but I feel that it is important for us to also have a discussion about what they expect of me and that I live up to that (assuming that the expectation is reasonable). Without fail, I get the request that I make them laugh each class (hard to do in an engineering classroom sometimes). We always have a discussion about what qualifies. For me, I want it to be my wry sense of humor, but the students want it to be much more formal (i.e., an obviously funny joke). One day I will meet this expectation!" Want to take a class with Professor Holmes? 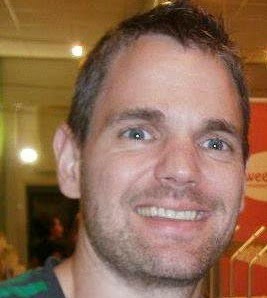 He is well known in the E-School for teaching Introduction to Engineering and Introductory Circuit Analysis! Check him out!!! Part VII: See Our @UVa_Summer Instagram! This week has been all about the start of summer orientation sessions for the Class of 2018! Check out the pics below, as well as a couple throwbacks to Independence day! "Get excited to know #UVa--orientation has begun! S/o to Ana and all the other awesome Orientation Leaders! 'Session A, here we go! @uva_summer @uvaonsp' --@anatehilah"
"Orientation is under way and the incoming first year class is learning their way around, registering for classes, and getting to know #UVaSummer 'Making friends in circles. 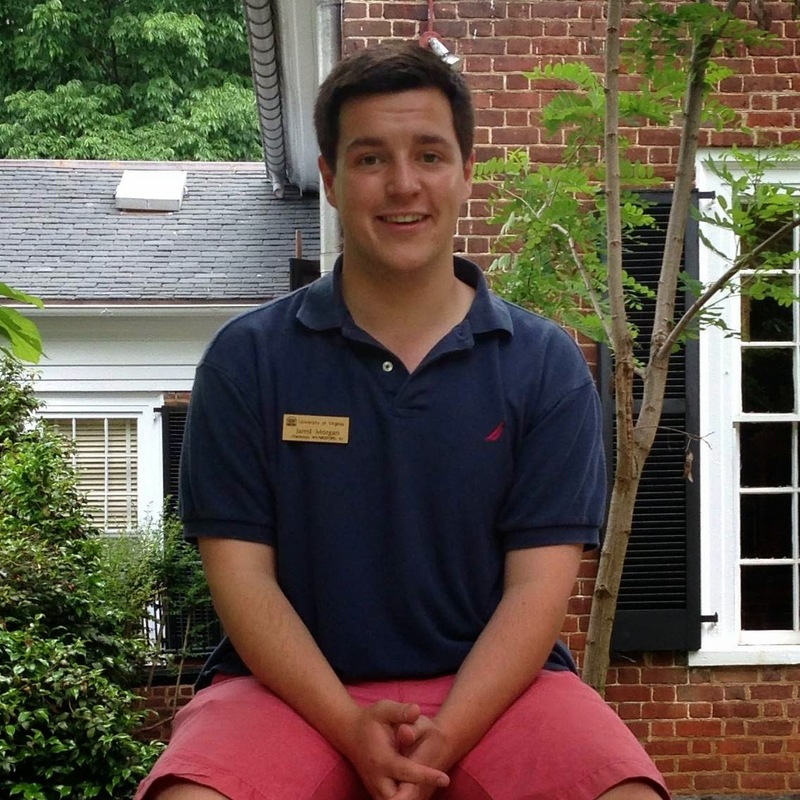 #OL2013 #UVA2018' --@tpilnik"
Left: "Happy 4th of July from all the tour guides here at the Office of Admission! #wahoowa #USA #redwhiteandblue #UVa #America #UVaSummer"
Right: "#tbt to that time your summer tour guides were super patriotic last week #UVaSummer"
Besides varsity sports at UVA, another great way to maintain physical fitness through organized sports is Club Sports. Ranging from cross country to rugby to water polo, we have a wide array of Club Sports available for both guys and girls. 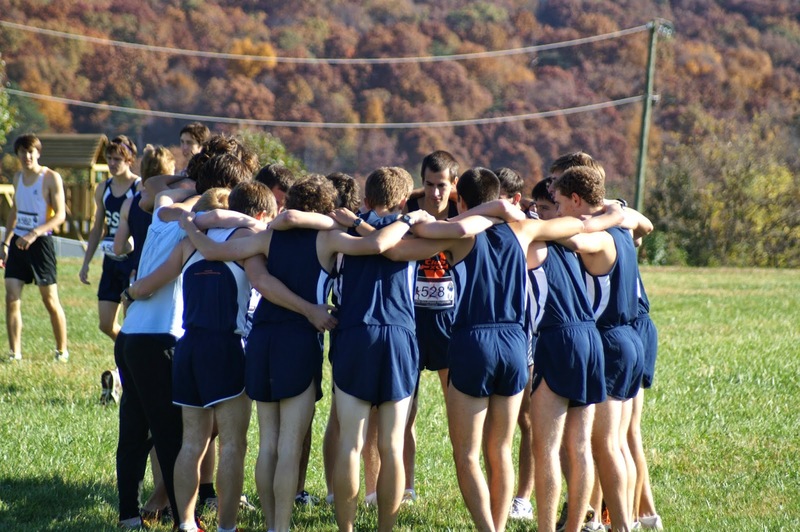 Club Sports at UVA are extremely similar in terms of time commitment to sports in high school. They are a great way to continue a high school interest during your time at the university. One of my close high school friends, (rising second year Sarah Bowron), is on UVA's club tennis team. In describing her experience with Club Tennis, Sarah has often spoken about how much she has enjoyed playing a sport she is passionate about while at UVA. In that respect, Club Sports are a great way to get involved at a lesser time commitment than the varsity program. For a more detailed list of all the club sports we have to offer, please feel free to look here. UVa’s Grounds are a well-integrated part of the Charlottesville community and throughout the year, residents of Charlottesville will come to the Lawn to walk their dogs, go for a run, play with their children, or even have a picnic. 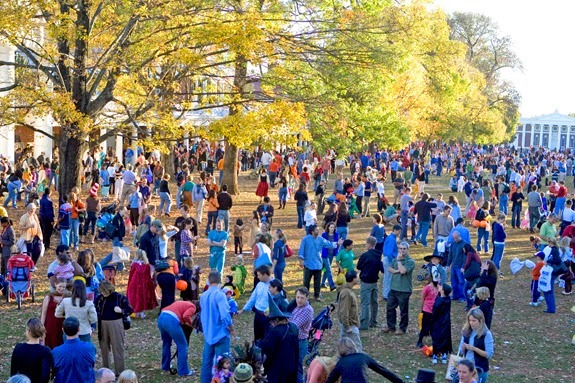 A favorite activity for Charlottesville families to participate in as well as a favorite tradition for UVa students is the annual Trick-or-Treating on the Lawn event. At this event, families in Charlottesville families will bring their children to go trick-or-treating on the Lawn with a UVa student that will be assigned to each attending child. The UVa student will be paired with a child to walk them to each of the Lawn Rooms to collect candy from the fourth-year students that live in the Lawn Rooms. 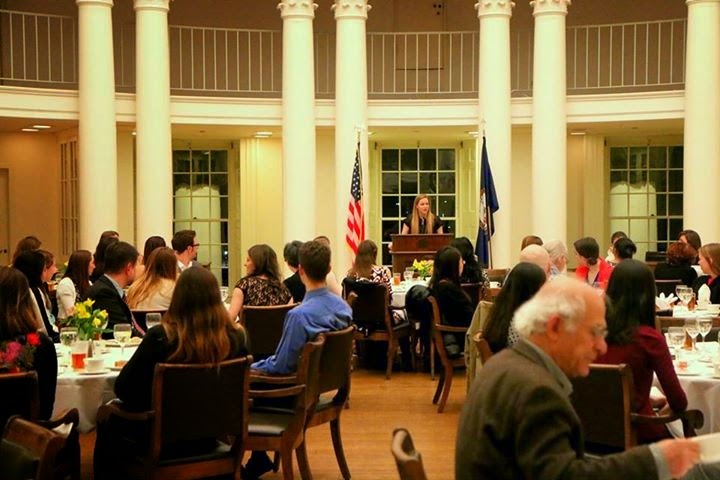 The event was started in the late 1980s by the students at UVa and has become one of the largest events of the Fall semester. Each of the Lawn Rooms houses a fourth year student throughout the year, but some student organizations will use the room of a member of their group to give out candy. Some students come to help their friends give out candy, other students will come just to be a part of the event and take part in a popular tradition for the people of Charlottesville. 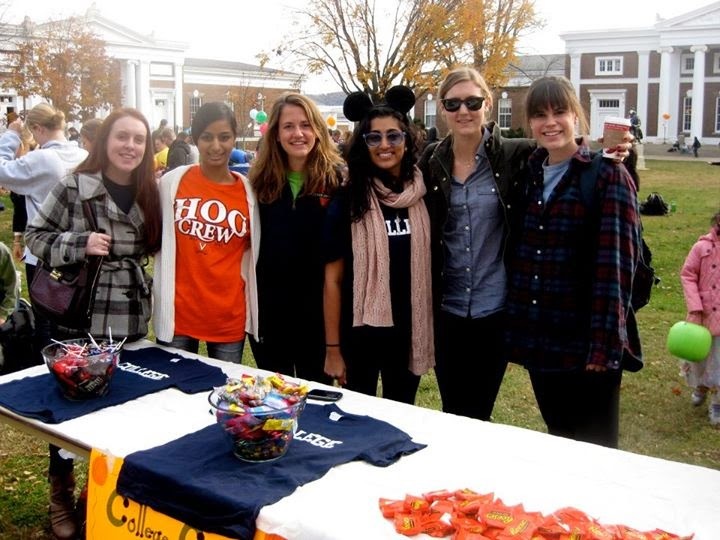 Trick-or-Treating on the Lawn is a great event for the students of UVa to give back to the local Charlottesville residents and to stay a part of the Charlottesville community. Hoo's Abroad? Melissa on Semester at Sea!